Between 1929 and 1974, according to the Associated Press, 7,600 North Carolinians were sterilized in a state-sponsored eugenics program. The victims of this governmental action were considered “feebleminded” and deemed “undesirable,” at least in terms of potential reproduction. In 2002, the then-governor of North Carolina, Mike Easley, apologized for the state-sponsored eugenics effort. As of last year, North Carolina became the first state with a history of state-sponsored eugenics to compensate surviving victims, 220 of whom received payments of $20,000 each. In this year’s state budget, each victim will receive an additional $15,000 payment. In 1947, 14-year-old Willis Lynch of Littleton was asked by a nurse to sing a song as she placed a mask over his face. Lynch unknowingly inhaled an anesthetic, and then underwent a vasectomy procedure without his consent. The forced sterilization was ordered by the state of North Carolina, which had deemed Lynch “feeble-minded” and unfit to produce children. Lynch, one of seven children of a widowed mother, was sent to a reform school three years earlier because of his propensity to get into fights with classmates. The state of North Carolina quickly targeted Lynch for sterilization and received his mother’s consent only after indicating his return to the family was contingent on her signature, going so far as to threaten to cut off the welfare payments she needed to care for her children. Contrary to the declaration of the state, Willis Lynch is far from feeble-minded. As an adult, he would go on to serve our nation in the U.S. Army and become a pillar of his community, where he can often be seen and heard at his local Veterans of Foreign Wars hall showcasing his impressive singing and guitar-playing talents. In the U.S. Senate, Tillis has been joined by Republican colleague Richard Burr, also of North Carolina, and three Democratic Senators, Tom Carper of Delaware and Mark Warner and Tim Kaine, both representing Virginia, to introduce legislation to exclude state compensation payments for eugenics from calculating federal benefits eligibility and payment levels. To North Carolina’s credit, it has apologized and tried to compensate for its eugenics program. Sadly, the major American charities and foundations with histories of supporting the research for eugenics—or even financing eugenics programs—appear to have avoided taking responsibility for their roles in this movement of scientific racism. While it’s debatable how intentionally or unwittingly they were engaged in supporting eugenics programs of quite heinous dimensions, the histories of these institutions are now quite well known. The Rockefeller Foundation funded German research institutions in the 1930s, some employing well known and future Nazis such as Ernst Rüdin and Josef Mengele, while the Carnegie Institution, founded by Andrew Carnegie, provided support for eugenicists for decades. The Hudson Institute’s William Schambra adds other foundations to the list of general-purpose foundations that granted philanthropic credibility and capital to the eugenics movement, including the Carnegie Corporation. He has noted in several articles that the foundations that provided support to the eugenics movement, spawning state-sponsored sterilization programs from Virginia to California, have never apologized for their actions, much less provided compensation for their roles. There is another dimension to eugenics, not simply the forced sterilizations imposed on the poor and minorities, which requires consideration of victims beyond individuals like Willis Lynch and Elnora Mills who were subjected to this treatment. The damage of eugenics may have been much broader, more societal, and oddly, still having its effects today. 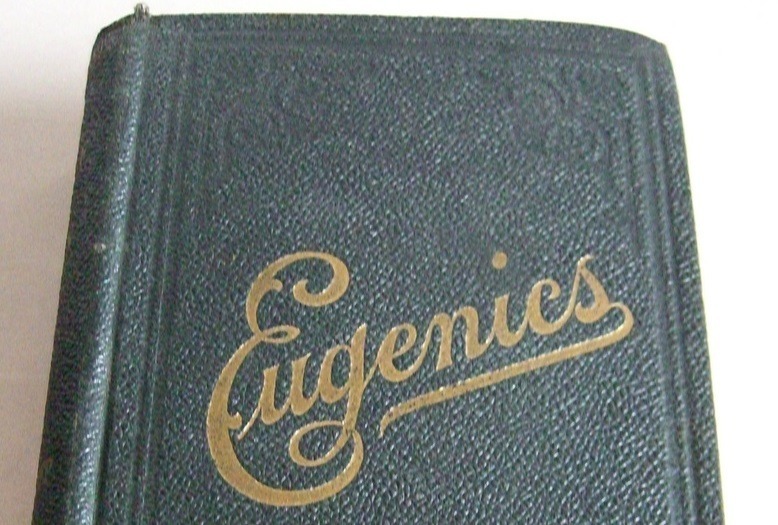 In its heyday, some thought of eugenics as a means to stem crime, prostitution, and other social ills by preventing the feebleminded from having children. At the Maryland Reinvestment Summit in Baltimore on Monday, Morgan State University assistant professor Lawrence Brown pointed out that the federal policy of redlining—that is, the drawing of maps by the Federal Housing Administration and its predecessor, the Home Owners Loan Corporation, to identify areas where loans should not be made by coloring them in red—explicitly drew on the pseudo-science of eugenics. Studies of several cities’ redlining policies and color-coded maps, including Asheville, North Carolina’s and Baltimore’s, point to the explicit eugenics-based thinking behind the redlining theories that deemed some neighborhoods, or rather the inhabitants of some neighborhoods, as undesirables. MacChesney had “the halo of scientific endorsement,” as Nightingale writes, from Richard T. Ely, the prominent University of Wisconsin (and later Northwestern) economist, founder of the American Economic Association and director of the Institute for Research on Land Economics and Public Utilities. Both men “flirted openly with Social Darwinism and eugenics.” And both turned Chicago into a hub of legal and economic theories bolstering segregation.